The stained-glass windows at St George's Church, Ashtead have been cleaned by a specialist and had a few minor repairs. My job is to make an accurate record for the official inventory. I had photographed some of the windows over 13 years ago. This time I made a complete record including the Reamy-Glass. Technology had moved on and the colour rendition and resolution is so much better today. 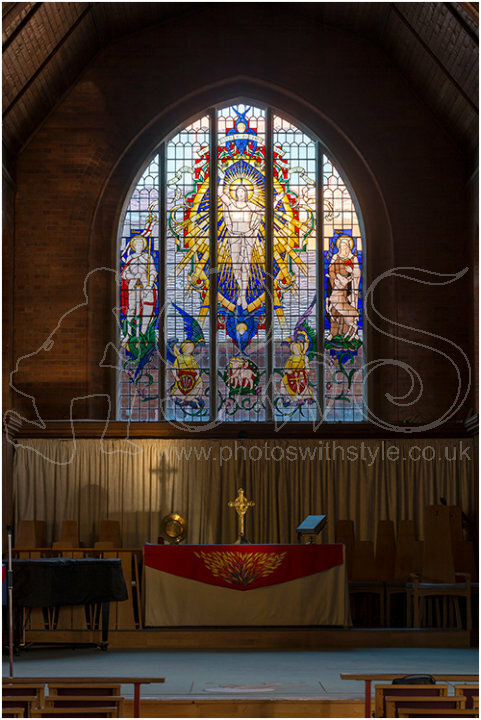 Although the church was built in 1905 this particular stained glass was added in 1961 in place of three former lancet windows. It is by Christopher Rahere Webb (1886-1966) and like the one designed in 1957 for the Commonwealth Chapel of St Lawrence Jewry in London.